I love Disney and especially the Haunted Mansion at Disneyland. 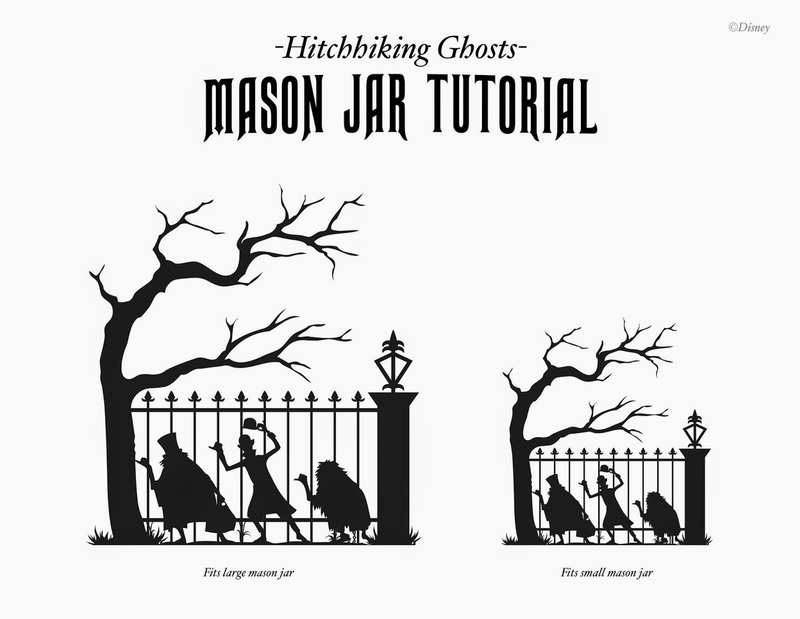 I couldn't resist sharing this tutorial from the mouse on how to make a Hitchhiking Ghosts candle for Halloween. For Haunted Mansion novices, the Hitchhiking Ghosts are the ones who threaten to follow you home. Of course I love those three guys (Ezra, Phineas and Gus) so much they have followed me home multiple times - on t-shirts, drinking glasses, pins, a Jim Shore statue and now this fun craft. Disney's directions are below. We swapped out the "artist marker" for the glass paint we used for the Sherlock wine glass & jar craft because it was already in my craft bin and why buy something new when what you have will do nicely.